Upon graduation, he worked in the real estate division of Wal-Mart Stores, Inc., then later as merchandise buyer for the company in its Sam’s Club division. He later joined his family’s national wholesale food manufacturing business where he served in various executive management capacities, including Vice President of Finance and Vice President & General Manager for one of the company’s production facilities in Orlando, Florida. Upon returning to central Arkansas in the late 1990’s, he became a partner in the Little Rock-based commercial real estate firm Colliers International, helping grow the firm to become the largest commercial real estate firm in Arkansas. During his tenure at Colliers International, Gary was recognized by Arkansas Business in its Class of 2002 “40 Under 40”. 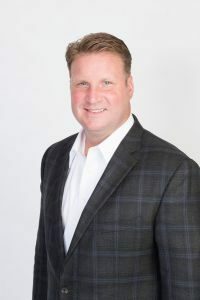 Since leaving the firm, Gary has invested in several real estate and business ventures, has provided consulting and advisory services to several small to medium-sized businesses, and serves on several of their boards, as well as not-for-profit boards. He is also a member of the investment committee for Fund For Arkansas’ Future, a Little Rock-based angel investment fund. Gary is a Mergers & Acquisitions Master Intermediary (M&AMI), Certified Business Intermediary (CBI) is a member of M & A Source and the International Business Brokerage Association (IBBA) and has completed the Certified M&A Professional (CM&AP) Program at Coles College of Business, Kennesaw State University, Kennesaw, Georgia. Gary has been married to his wife Marley since 1991 and they have 4 children. Gary is an elder at Fellowship Bible Church of Little Rock, Arkansas. Gary enjoys golf, hiking, snow skiing, SCUBA diving, travel and spending time with family and friends.